Proctorio remains committed to providing support to institutions affected by natural disasters. Hurricane Michael, a Category 4 storm, made landfall in Florida today. Colleges and universities across Florida’s Panhandle will be closed through the week including Florida State University. 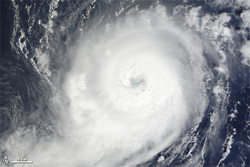 Proctorio announced today that, for anyone affected by the hurricane, it will offer its online proctoring services without charge to allow students to take exams from remote locations. About Proctorio: Proctorio is a fully automated, online proctoring service that provides a scalable, cost-effective solution to validating test-taker identities and originality during online exams. Proctorio ensures the integrity of distance learning and online certifications while protecting institutional accreditation and increasing the value of online degrees and credentials. Proctorio’s customizable, secure exam settings, recording options and live ID verification allow institutions to set-up unscheduled, on-demand proctoring specific to their assessment needs. Proctorio ensures fairness for test-takers by increasing accountability, securing exam content, deterring cheating, and promoting a culture of academic integrity while improving learning outcomes. Click here to learn more about Proctorio's automated proctoring solution.